William (B.J.) 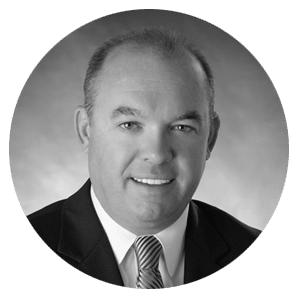 Hybl Jr. joined Griffis/Blessing, Inc. a real estate investment and services firm, as an Associate Vice President in 1999 and has held the position of President and COO since 2006. B.J. has direct responsibility for over eight million square feet of multi-family, office, industrial and retail buildings with market value totaling more than $1 billion. Griffis/Blessing has over 300 employees with offices in Colorado Springs and Denver. Mr. Hybl received his BA from Colorado College and an MBA from Regis University in Denver, Colo. He also served in the United States Air Force as a Missile Launch Officer and Space Operations Officer.